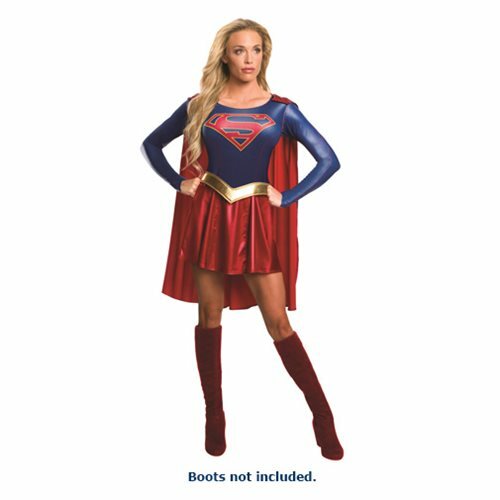 The Supergirl TV Series Adult Costume includes a dress, belt, and removable cape that attaches with velcro. Please note the boots are not included. The skirt is part of the dress and is not removable. Ages 13 and up.